The worldwide release of Office 2016 for Windows on September 22 was another milestone in pursuit of Microsoft’s company ambition to reinvent productivity and business processes. 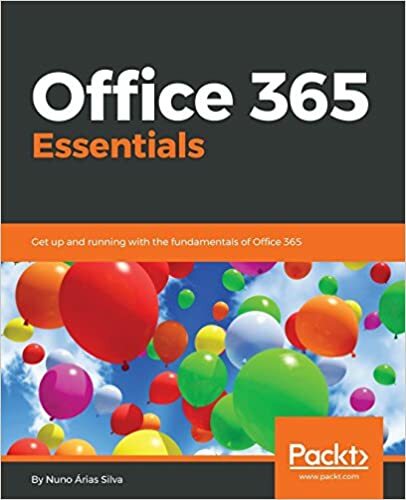 To help making upgrading to Office 2016 a seamless experience for Office 365 customers, we also delivered resources to assist users, developers and IT pros, including a set of Quick Start Guides to introduce users to the newest versions of Microsoft Word, Excel, PowerPoint, Outlook and OneNote. We also provided guidance for businesses and introduced a new model to help administrators manage and deploy regular updates. And we gave developers detailed information about the new capabilities in Office 2016. In conjunction with the release of Office 2016, we introduced the collaboration tool Groups in Outlook 2016 and a new mobile app called Outlook Groups. We also announced that Office 2016 supports Data Loss Prevention (DLP) in Excel, Word, PowerPoint and Outlook, scanning documents for defined sensitive information, and we started rolling out DLP for OneDrive for Business and SharePoint Online. Office 2016 wasn’t the only big news during the past two weeks, however, because we also continued to add other new features and improvements to Office 365. We introduced Office 365 Planner, which makes it easy for your team to create new plans, organize and assign tasks, share files, chat about what you’re working on, and get updates on progress. We also introduced Invite, a new smartphone app that makes it easy to organize meetings on the go, and we took a page from social networking by adding Like and @Mention to workplace email in Outlook on the web. In addition, we announced the acquisition of several apps and add-ins for Project Online from our partners, to enable mobile project and portfolio management. And just this week, we announced that Azure ExpressRoute for Office 365 is now available from several network operators, enabling organizations to establish a private, managed network connection to Office 365 as an alternative to connecting over the Internet. This direct connection offers customers more predictable network performance, an SLA for guaranteed availability and additional data privacy. The more you learn about Office 365 and Office 2016, the more reasons you have to make these premier productivity tools an integral part of your life and your business. Below is a roundup of some key news items from the last couple of weeks. Enjoy! Office 2016 review: Microsoft makes mobile-first, cloud-first a reality—Learn how Office 2016 and Office 365 are making Microsoft’s mobile-first, cloud-first vision real. For Office 2016, teamwork is everything—Find out how Office 2016 enables teamwork and collaboration. Office 2016 takes the work out of working together—Discover how Office 2016 improves teamwork and collaboration. Pandora opens up pathways to teamwork and productivity using the new Office—Learn how a global jewelry company uses Office 365 and Office 2016 to improve teamwork, boost productivity and support its growing business. Preparing tomorrow’s workforce in the classrooms of today—Find out how Georgia State University is using Office 365 to deliver 21st century education. At AON, collaboration is key—Discover how AON, one of the world’s leading providers of risk management and human resources solutions, is using Microsoft Office 365 to help its global workforce connect and collaborate.